Walk the city with an entertaining Aucklander. Your top local guide will reveal hidden lanes, landmarks, Māori heritage and the best eating spots. Enjoy coffee at a classy hotel and a bus ride uptown on this small-group tour of 8 maximum. Get on top of Auckland! Combine your Hello Auckland tour with a 2-course lunch up Sky Tower. Enjoy delicious Kiwi-style cuisine and panoramic harbour views from New Zealand's highest rotating restaurant, Orbit 360. Subject to confirmation. 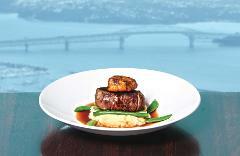 Savor the mouth-watering flavors of Auckland in an afternoon. Join your food-loving guide to discover hidden eateries and back lanes on this fun moving feast. Come hungry and leave full to the brim with great local advice. 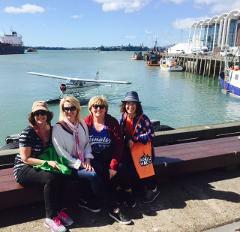 Discover Auckland's waterfront on this afternoon 'culture and cuisine' walking tour. Explore landmarks, views and the City Fish Market before savoring delicious seafood at a popular harbourside bistro. From Nov to April only or by request.